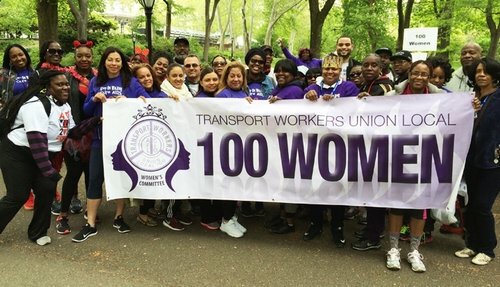 TO EDUCATE all TWU Local 100 members on health, economics, and social issues that affect women. TO STRIVE CONTINUOUSLY to educate women on the labor movement while encouraging their involvement. TO PROMOTE AND ENCOURAGE women to run for elected union and public office. TO SUPPORT candidates who support the cause of organized labor and the advancement of women within the labor movement.